We offer many innovative services to your yard, and the main elements of the service are described below. All of our services are carried out by trained technicians and the data collected analyzed by our team of experts headed by Henk Offereins DVM. This allows you to access a deep pool of expert knowledge to help you train and maintain the performance horse. The Ultrasound Tissue Characterisation (UTC) scanner is the first of its kind! Unlike a normal ultrasound scanner, the UTC scanner can differentiate between different fibre types. This enables one to see how many healthy aligned fibres are present, the degree of scar tissue and the severity of a lesion, all in one scan! Each scan is made up of 600 successive transverse images taken and stacked up on top of one another to create a 3-dimensional data block (scan) showing up to 12cm of a tendon in one scan! Thanks to the colour and fibre differentiation technology, the UTC scanner is able to “track” the progress of an injury in a way a normal ultrasound scanner would be unable to. Not only does a UTC scan ensure you can tailor a rehab programme exactly to your horse’s injury, it can also detect if you are doing too much work before the tendon reinjures itself again! Equinetendon.com offers UTC imaging in both South Africa and Europe. Contact us today at to find out how UTC can help your horse. Thermography presents a noninvasive and cost-effective diagnostic imaging modality and is a valuable complementary tool in equine health care. Recently there have been considerable advancements in thermographic cameras’ resolution and practicality. The first step in understanding what thermography can and can’t do is learning the difference between anatomic and physiologic imaging. Anatomic imaging, which includes radiographs, CT scans, and MRI, reveals to the practitioner a specific affected area. Physiologic imaging is dynamic and sensitive and includes nuclear scintigraphy (bone scan) and infrared thermography. The latter might detect metabolic changes related to active inflammation, blood flow, or nerve conduction. This information can offer the clinician valuable information about potential issues with the horse and offers a holistic approach. Equestride represents a genuinely new and unique development in the treatment of equine soft tissue injury. A fully adjustable support system for the equine distal limb worn by the horse through all stages of tendon and suspensory ligament recovery. The Equestride boot is a specialised rehabilitation device for horses suffering from soft tissue injuries. 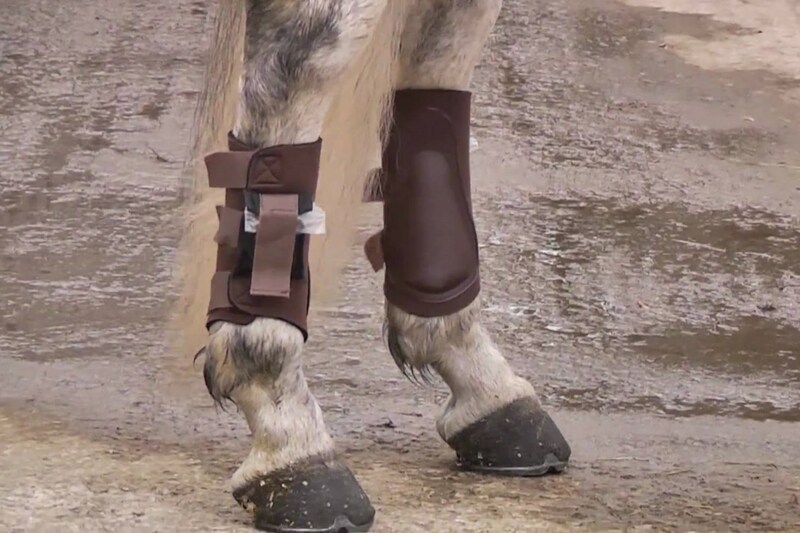 The boot works on the principle that one is able to slowly start exercising a horse shortly after injury but with enough support to prevent further injury/reinjury occurring. This minimises the incidence of scar tissue and improves the overall quality of healing in a much shorter period of time. Generally, the horse only wears the boot when working unless it is a very recent injury. If this is the case, then the horse is turned out in the Equestride for the first few weeks. 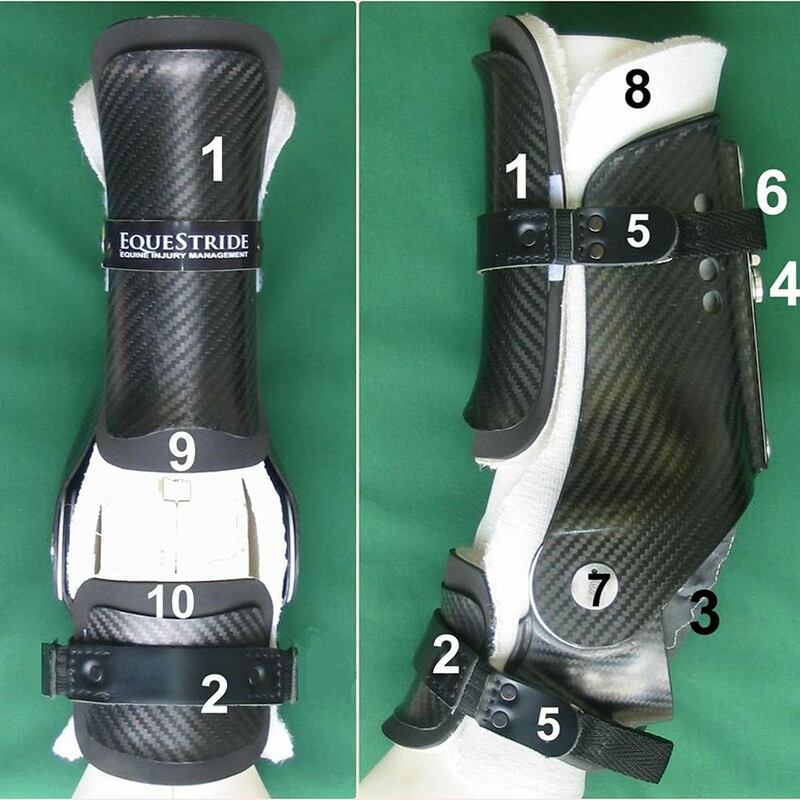 The Equestride boot has 4 settings, each of which controls the degree to which the fetlock is allowed to extend. For recent, serious injuries setting 4 offers the equivalent support to that of a cast. Horses are able to start safely walking almost immediately after sustaining the injury without risking further injury. Setting 3 is used for horses starting to work again, it still offers significant support, but not to the same degree that is offered by setting 4. Setting 3 is used for horses when work includes walking and introductory trotting. Setting 2 is used for horses that are walking and trotting for longer periods of time. Setting 1 offers the least support. Setting one is used for walking, trotting, cantering, work galloping and jumping up to 90cm. Setting one merely prevents the fetlock overextending past “peak load”. Horses have to rely on their trainers and riders to identify problems with their mobility. This means that many problems go unresolved for long periods. GaitSmart Pegasus provides a solution, monitoring the precise limb motion and identifying abnormalities long before they are visible to the human eye. This information is then used by our experts to subscribe to the best course of treatment/training schedule. Test your horse with or without a rider in the field, yard or ménage. Receive a report that informs you exactly how your horse is moving, not just stride but hock and cannon angles. Used in all weathers, day-light or night-time in a badly lit ménage or yard.